What do you mean, it's your nectarine? 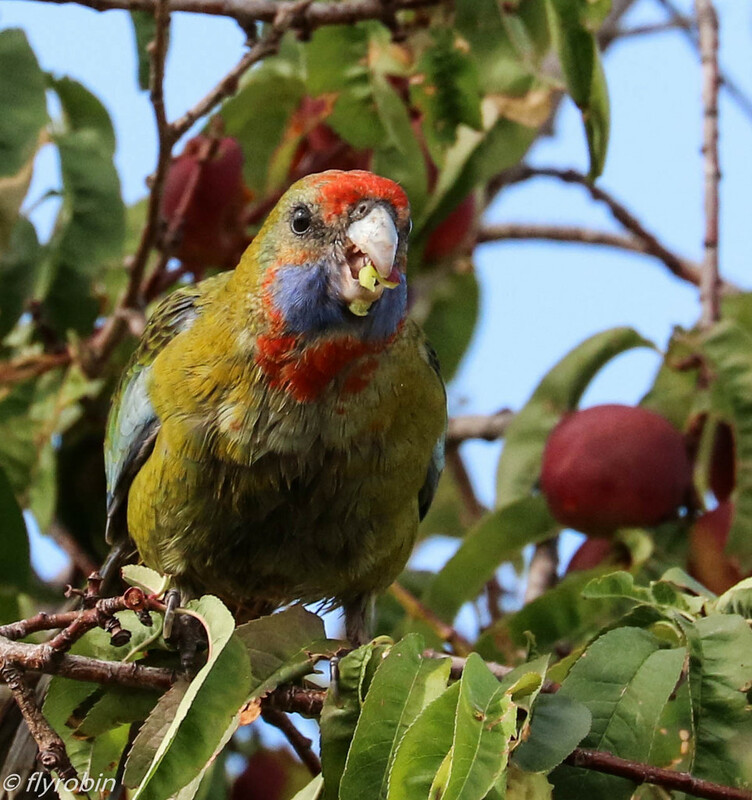 A rosella of some kind I think? It looks like the Green Rosella's colours but they are not supposed to be in South Australia - only Tasmania? Looks like a juvenile crimson to me.